TAQA, with its own inherent strengths in the business of oil field and energy services sector lends its solid backing to JESCO, along with the added support of other shareholders, in establishing a most modern manufacturing facility to produce highest quality Seamless Pipes in the Middle East. To provide the best quality products & services to our customers at competitive conditions, create value for our shareholders, transfer technology and create employment opportunities while remaining committed to quality, safety, social responsibility and environmental protection. We produce Seamless Steel Pipes of various dimensions ranging from 4-1/2” to 16”. These Seamless Pipes are mainly used in the Oil and Gas sector. Our slated annual production rate is 400,000 Metric Tons (MT) of Seamless Line Pipes and OCTG products. JESCO is assured of uninterrupted supply of required utilities provided by the Royal Commission, Saudi Aramco, Saudi Electric Company and MARAFIQ. Allows efficient use of larger range of sophisticated steel grades. Through the latest heat treatment technology we are able to achieve API grades and tailored steel grades. Our proprietary steel grades cover critical features such as sour service, high collapse, high compression or a combination of them all. Our quality policy is an integral part of the company’s overall policies and strategies. This Quality Policy guides the organization towards continuous improvement to fulfill its mission. JESCO recognizes that continual improvement is key to sustainable success. JESCO is committed to ensure consistent compliance with its Quality Management System requirements which is continually reviewed and updated to improve its effectiveness. JESCO pursues policies which enhances its employee’s quality of life and preserve business relationships with its suppliers. JESCO maintains and makes every effort to improve the health and safety of employees and protect the environment. 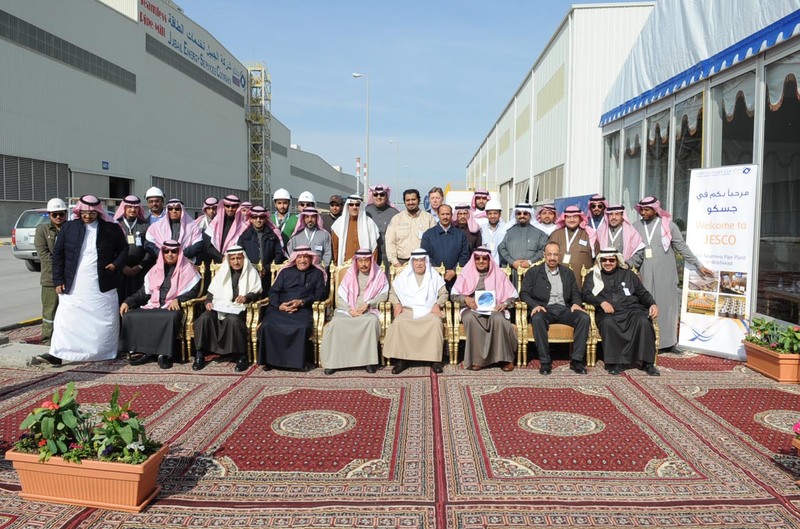 JESCO is committed to continuously evaluate, motivate, train and develop its human resources with particular emphasis to provide training to its Saudi Arabian employees. JESCO’s Quality Policy provides a framework for establishing, reviewing and measuring quality objectives.